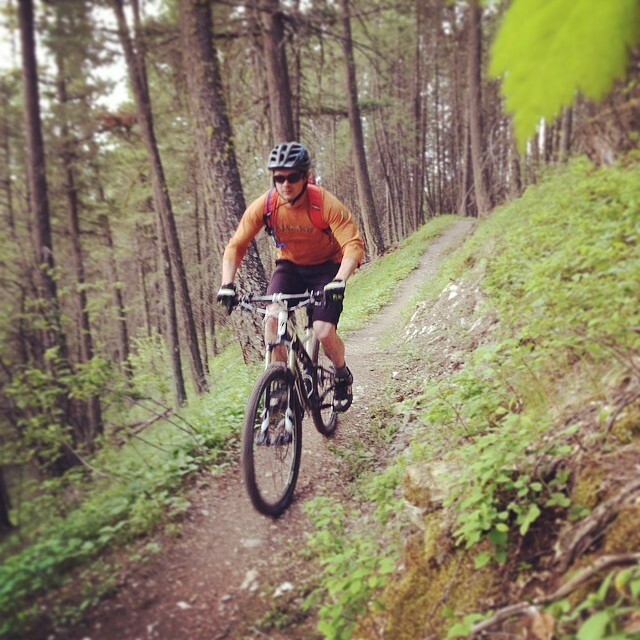 Erin has loved riding the trails in the Flathead Valley since moving to Whitefish in 2009. You’ll often find her riding her favorite trail, Maple Syrup, or trying to not get lost at Pig Farm. When she is not riding her bike, Erin does her best to keep FAMB in order and has been the President since 2012. She is passionate about working toward keeping local trails open for biking and is proud of the work that FAMB has accomplished over the years. 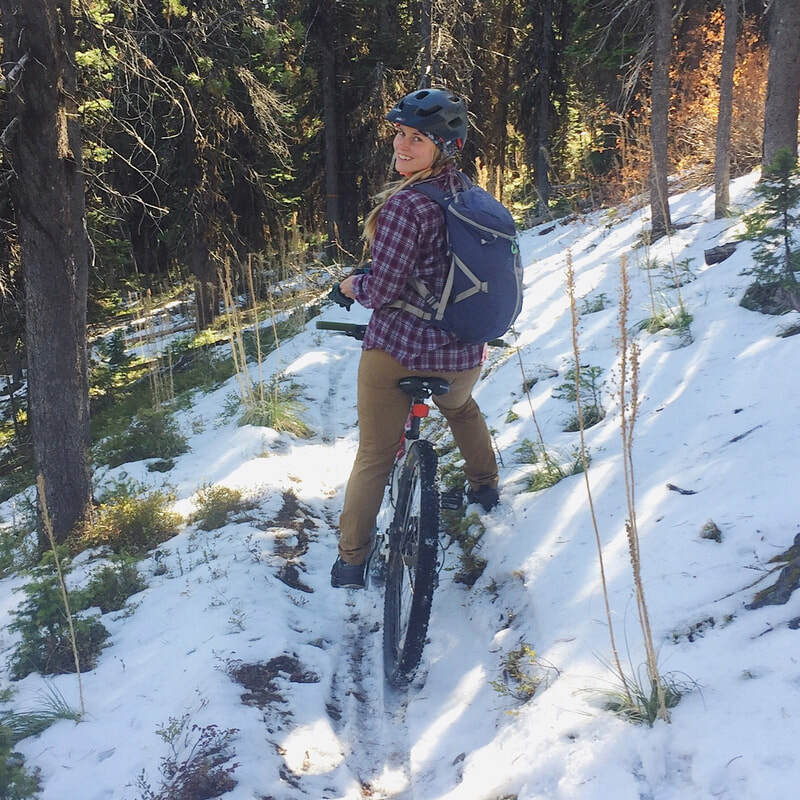 Erin has been organizing and instructing women specific mountain bike clinics since the summer of 2013 and also volunteers for the Whitefish Trail Bike Patrol. Ron migrated from the Midwest to the great state of Montana in 2000. After ten years in Bozeman he moved on to Bellingham, WA. But ever since he travelled to Whitefish as a young ski racer, Ron knew he wanted to live here and he was happy to make this dream come true in 2014. Ron has worked in the bike industry for 17 years. He likes talking gear and bikes over beers and pizza. Ron is a lifelong trail advocate and will pick up a shovel to help build trail anytime. You’re like to see him out exploring new trails with his dog, Dusty. After serving as FAMB’s president, Anders took his dream job as a product designer in the bike industry, in Minnesota. After two years, the lure of Montana and riding singletrack in the Flathead Valley called him back. Anders loves to ride for the sake of riding, digging in the dirt and clearing trail in the spring. Even when living in another state, Anders stayed involved and is back on the FAMB board because he has biked all over the world and the trails here are hard to beat and wants them to be around for the long haul, for the future. Dan has been riding bikes for nearly as long as he’s been able to walk and loves getting out on all the great local trails including his personal favorite, Otter Pop. He is stoked to be part of such a great group that promotes bicycling for everyone and hopes that through his involvement with FAMB, he’ll be able to help expose more people to the sport of cycling that has brought so many good times to his life. He can usually be found on the trail or relaxing post-ride at a tailgate with a cold beer. Between going to meetings and doing other “adult” things, Noah Bodman occasionally finds time to actually ride a bike. In addition to writing about himself in the third person, Noah enjoys rides that end lower than they start and involve lots of rooty, rocky singletrack in the middle. As ​Flathead Area Mountain Bikers’ defacto attorney, Noah treads the fine line of keeping the club from getting sued while not being a fun sponge. Josh Knight likes bikes. Nowadays he spends most of his riding time picking up the kids from school, but when he can find time he loves to ride bikes and build trail. 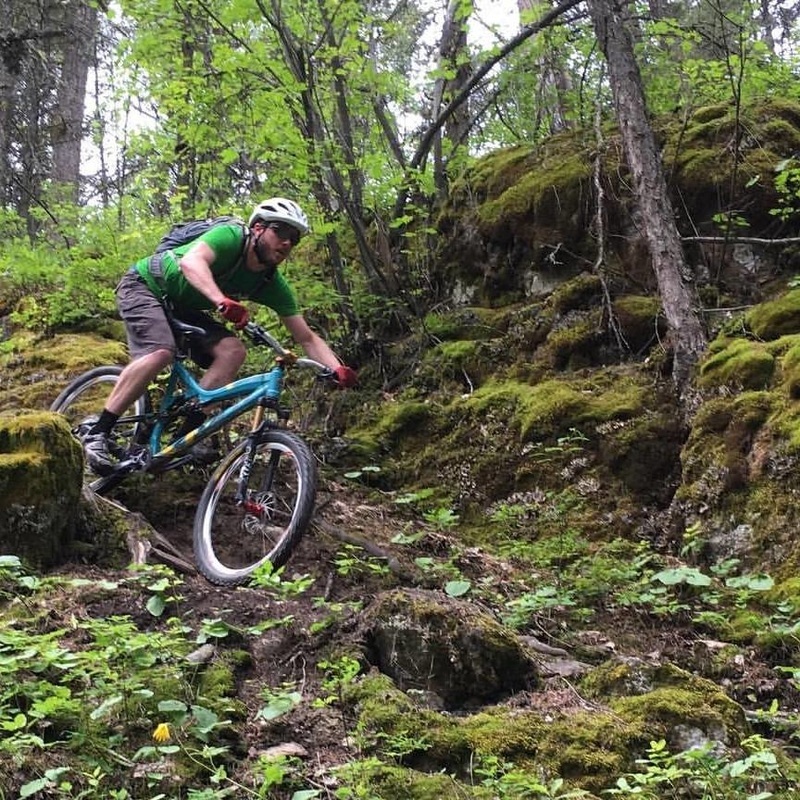 Much of that opportunity comes from his time as the Manager of the Whitefish Mountain Resort Bike Park. During his eight years the bike park he has worked to gain approval for and oversee the building of Runaway Train. He has since designed all trails and constructed them alongside the WMR patrol and trail crews. Julianna loves connecting with her inner child on her bike, yipping down flowy track is her favorite. She is excited to raise awareness of local trails and share her love of biking with new bikers. When not pedaling, she funds her adventures with marketing and graphic design projects. Lacy loves all things bikes. She enjoys pushing her limits xc mountain bike racing in the northwest and Canada, as well as exploring new places on two wheels with her husband and pup. She is excited to join FAMB and share the joy of biking with others through clinics and group rides. She is also happy to be part of an organization that has done so much for developing single track in the Flathead Valley. Becky moved to Whitefish in 2014 for the top notch trail systems and skiing, and is often out riding or running at Pig Farm and Tally Lake. During the winter, you might find her at Whitefish Mountain Resort where she works as a ski patroller. She came to us with a passion for mountain biking and a past career as a lawyer. Becky is dedicated to maintaining and promoting biking access to Flathead Valley trails and to making mountain biking accessible to local youth.